Ships today if you order in the next 11 hours 19 minutes. Magnesium is an important mineral in the body that plays a critical role in your body's overall function. 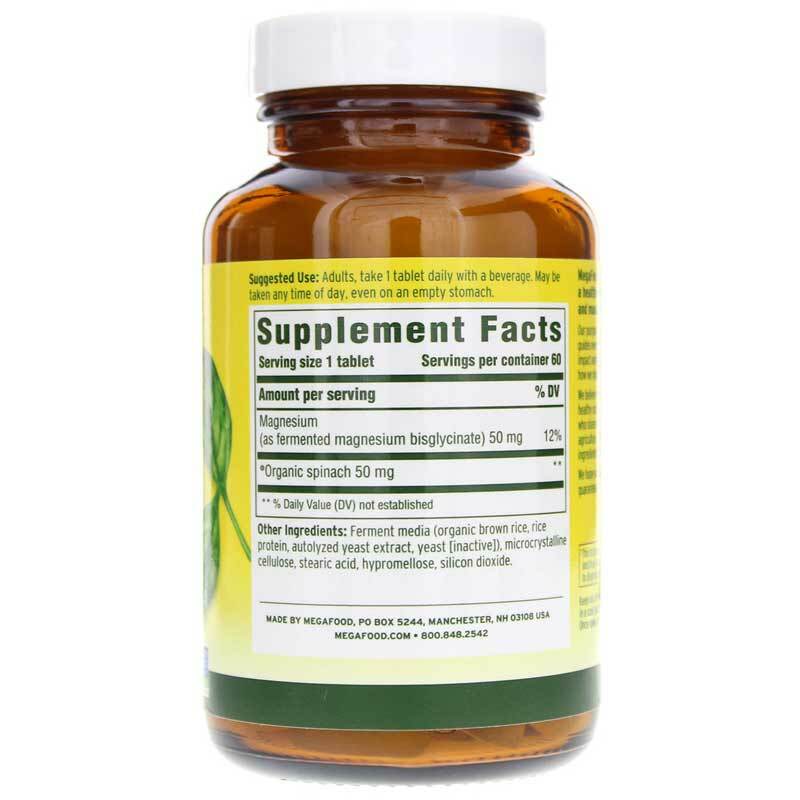 While magnesium can be obtained from leafy green vegetables, whole grains, legumes and dark chocolate, many people actually do not have sufficient levels of magnesium in their bodies and choose to take a supplement like Magnesium from MegaFood. 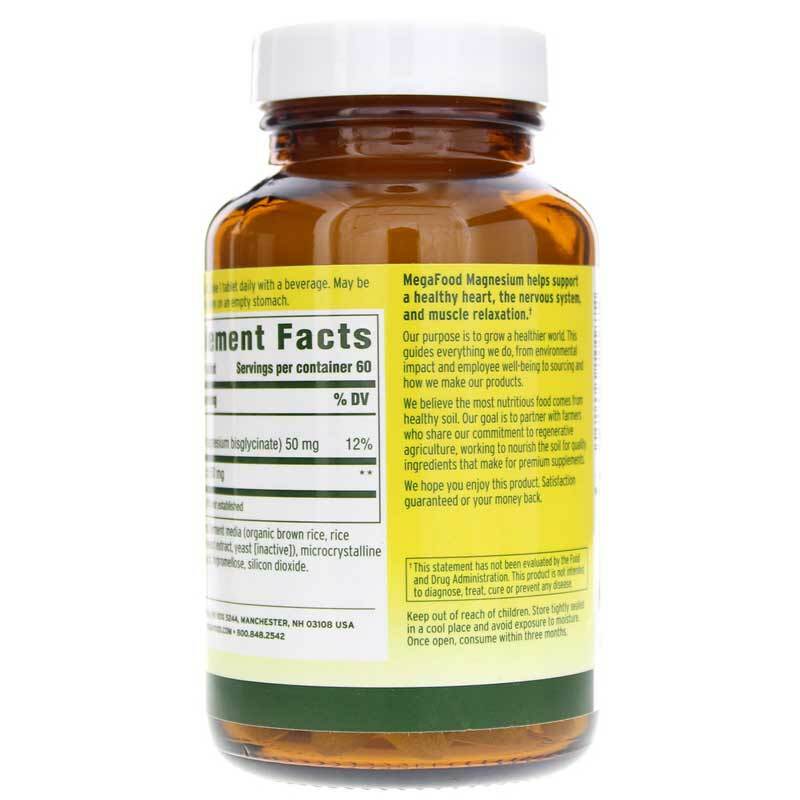 This magnesium comes from 100% whole food sources, and includes spinach for added nutrients. It seeks to promote cardiovascular health and support a healthy nervous system. It also works to promote relaxation and support healthy sleep. 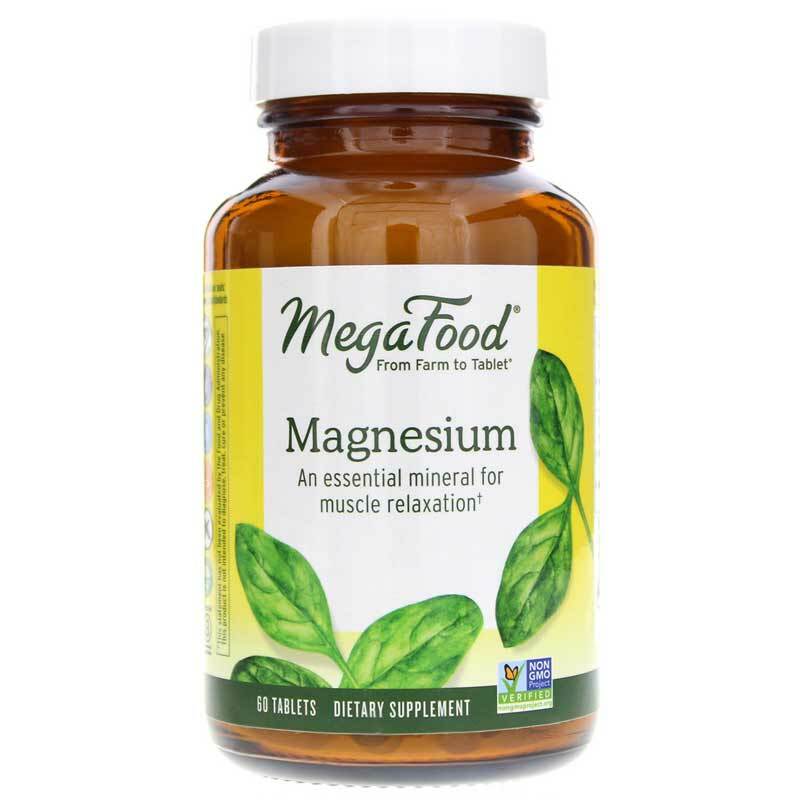 If you're looking for a magnesium supplement that is made from whole food sources, consider Magnesium from MegaFood. Other Ingredients: cellulose, stearic acid.